Get ready for a double dose of Nikonians Academy Director Mike Hagen teaching new live workshops with CreativeLive. Mike's workshops are coming this week and they are aimed directly at Nikonians members around the world. Join us live online for free. Or, you can purchase the workshops for future viewing at your convenience. CreativeLive produces some of the best online training classes in the world. We are proud to partner with them and know that this will bring excellent value to the Nikonians.org family. June 9th - Photographing Panoramas for Large Prints. Mike will be teaching an intensive full-day class on ow to create and print large panoramic prints independent of what camera you use. He'll show field shooting techniques from a real-life photography session including using some of the top panorama gear in the industry. Back in the studio, Mike will demonstrate how stitch the images together, then go through a full printing workshop using high-end Epson inkjet printers. 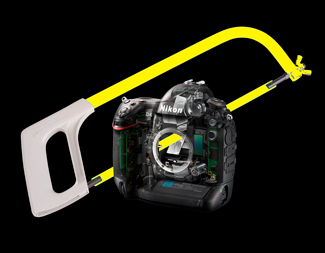 June 10th - Nikon Wireless Flash for Creative Photography. Mike will go through all the details around setting up your Nikon cameras to work with the Nikon wireless flash system. 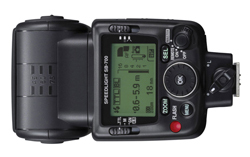 He'll be showing off the new SB-5000 and D500 camera as well. We are also shooting another class next week called Using the Nikon Autofocus System where Mike will be showing how to configure your Nikon DSLR for all kinds of real world shooting scenarios. This class will be recorded and will go directly to their catalog, so as soon as the class is published, we'll send a link so you can access the workshop. You can watch the live workshops for free. Also, you can purchase the workshops for your own use at any time in the future. Time is running out to register for our Iceland Birds and Landscapes photo adventure. This trip runs July 17-24, 2016 and is timed to coincide with beautiful weather, great wildlife and stunning summertime light. Because we'll be traveling as an independent group, our guides and drivers are dedicated to getting us to the best locations in the most incredible light. Our travel group is small (limited to a maximum of 10 participants), but the landscapes are huge! Prepare to be awed by the size and scope of the Icelandic topography. The memories of this trip will last a lifetime. Rick Hulbert's Chicago Urban and Street Photography workshop is your opportunity to learn urban photography in an environment brimming with great images. This is a four-day workshop with a maximum enrollment of 10 people. 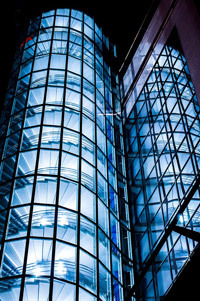 This class has been praised as one of the best in the world on the topic of photographing the built environment. Rick has spent years perfecting his curriculum so that it incorporates the perfect mix of art and science. He likes to refer to his classes as "Workshops for Smarties." You're going to love this class. Join us September 22-25, 2016 for this intensive workshop from one of the best instructors in the industry. We start with this image by Silver member Larry Jordan (ljordan316) from Florida, USA. 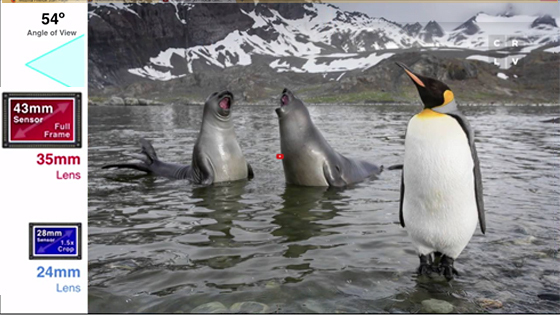 Larry was responding to a question seeking comparisons between the Nikon D810 and D500. 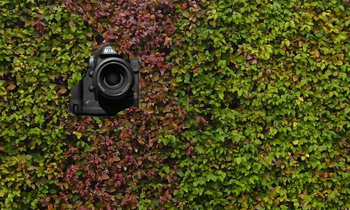 "No one camera is ideal for each and every situation. Far better to have a two camera kit and not try to find the single perfect camera as it does not exist. For me at the present time the best combo is the D810 with the D500. 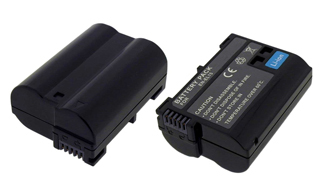 Both use EN-EL15 batteries and both can use SD cards is very advantageous for general field use and when traveling. Being able to buy both cameras and spend $1800 less than the cost for a single D5 camera also makes them a better value." Do you have a comparison example between the D810 and D500 to share? Silver member Douglas Amsbury (dglas_1) from Washington, USA has a question in the Nikon D810/D800 forum regarding the AF-area mode. The answers so far are very informative. Check it out. I've spent most of my life NOT living in town. I have some property in town and I hate to even do yard work there because I feel like I'm on display for all the neighbors. I'm sure they don't actually care about me or what I'm doing, but that's just the sort of feeling I have when doing stuff out in public view like that. Similarly, I find myself driving somewhere after work to take pictures and then going somewhere else instead, because there's already people there and I feel like they are going to be watching me the whole time. Wondering why I'm taking a picture of whatever it is, or thinking me a fool for laying on the ground to get a certain angle, or whatever. Worse yet, they might ask what I'm doing and then I'd have to tell them I have no idea. I'm kind of embarrassed to even admit this here, but I'm wondering if others felt the same way when they started photography and did you get over it? ------------------------------------------------------Nikonians founders Bo Stahlbrandt (bgs) and J. Ramón Palacios (jrp) advise they have switched Nikonians main areas to use our white theme as default. If you do not like it, switch to our classic, black theme using the top right corner arrow icon. Your preferences are automatically stored in your settings. Which version do you use most often (and why)? ------------------------------------------------------New member Robert Young (youngres3) from the England, The United Kingdom is looking for lens advice. I'm contemplating the purchase of a new 'standard' zoom lens to go with my Nikon D3s. I have been happy with my 24-85mm f3.5/4.5G ED but have been talked into perhaps replacing this with the much bulkier 24-70mm f2.8G ED - as I'm told the quality is much better. This is an expensive piece of glass (even second-hand) so I'm contemplating the older 28-70mm f2.8 IF ED that it replaced. Is this earlier lens of the same quality as its replacement? What is the advantage of the new lens? If you have a similar question-- check the replies on this so far. Nikonians Academy Director Mike Hagen tells us Steve Simon has scheduled another of his world-famous Passionate Street Photographer workshops for New York City, June 16-21. This workshop is designed to help you go from good to great and will be set in the bustling metropolis of New York. "Steve is an incredibly talented photographer and phenomenal teacher. The workshop exceeded my expectations and was an extraordinarily valuable experience. I particularly appreciated the specific assignments rather than simply being told "go out and shoot". Even though I considered myself a fairly advanced amateur, this workshop was of tremendous benefit to me. With an appropriate mixture of both shooting and critiques with feedback and suggestions, I learned not only from Steve, but from the styles and techniques of the other participants. New York City offers a dazzling array of photographic venues that were significantly enhanced by Steve's guidance and instruction. His passion as a teacher to reach out to every participant in order to maximize the workshop experience was evident each and every day." 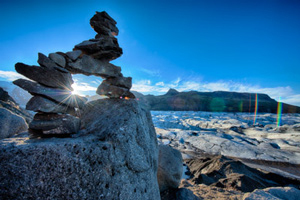 Meanwhile, Mike Hagen is preparing for his July photo adventure to Iceland. The itinerary includes special access to wildlife sanctuaries, boat tours, and island bird reserves. During summer, Iceland is truly the land of the midnight sun as it never truly gets dark. The evening light lasts forever and sunsets go on and on and on. 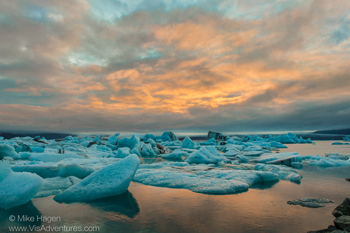 These sunsets are especially spectacular at the Glacier Lagoon, where the group visits multiple times during the week in order to maximize opportunities for great images. "We work hard to get you into the right places at the right time for the most beautiful Iceland photographs you can imagine. We still have room on our July trip and would love to have more Nikonians and Nikonians spouses along for the adventure." 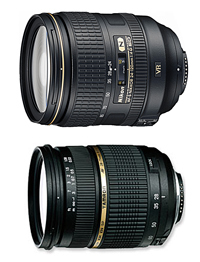 Interested in learning more about Nikon lenses? 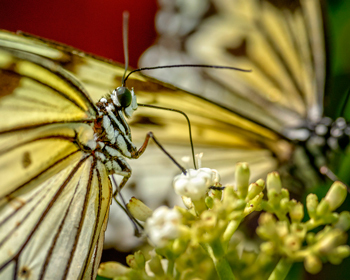 Check out this free 13 minute CreativeLive video segment from John Greengo's class, "Nikon Lenses: The Complete Guide." You can purchase the entire class at CreativeLive's website. This week you'll get 30% off all CreativeLive workshops using this link. We start with this image by Gold member Aart Louw (AartPapaya) from South Africa. 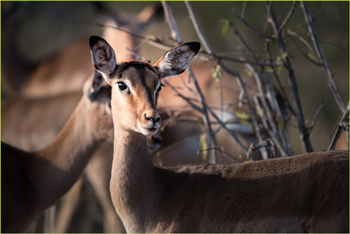 In his post titled A few Impala studies he shared interesting images taken at Kruger National Park with his Nikon D810. "Impala is by far the most common antelope in the KNP and is therefore not regarded as worthy of a photo. They are however graceful and well worth spending time with." Moderating Team member Jonathan Kandel (JonK) posted a link to the description of a newspaper photo shoot featuring a political candidate. You will recognize that candidate (Donald Trump), but that's not why Jon posted it. In fact he wants you to ignore the politics: "Seriously, forget who the candidate is. Just enjoy this shoot, the concept of confetti, buying it, picking out one color, cutting rectangles into squares, "distributing" it -- and cleaning it all up after the five minute shoot." "A face that has graced every digital Nikon that I've owned, standing patiently while the same boat sails behind her. I wonder if she even has a name -- if not, maybe we should give her one." We already have some interesting suggestions. Can you capture great images involving boats without going out to sea? 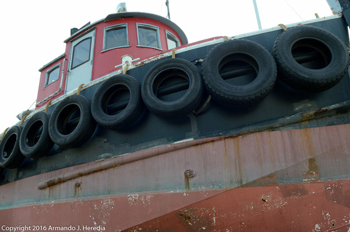 Moderating Team member Armando Heredia (Covey22) proves the answer is a solid yes with a series photos taken at a shipyard. He was using his Nikon D7000 on this shoot. Gold member John Hernlund (Tokyo_John) from Japan has been following economic trends affecting the photo industry in his area and shares his thoughts in a post titled Nikon business in a tough period. Our iOS app has been updated. 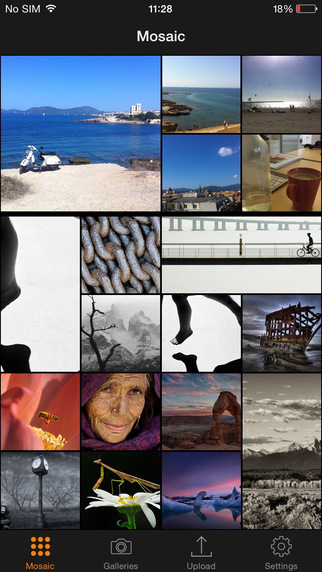 Browse images, tag favorites, see latest discussions, upload images easily to your gallery and share with others. Download for free from iTunes app store. Between now and 31st of May 2016, you get 50% off on a Gold Membership at Nikonians. 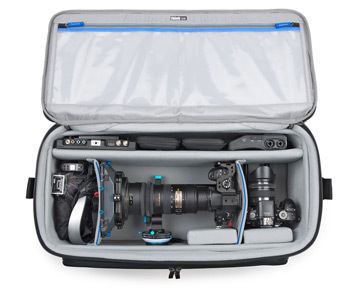 Our friends at Think Tank Photo have just released the first three in a new series of bags built specifically for professional video. The largest of the new Video Workhorse series, the Video Workhorse 25, holds professional camcorders or video camera rigs up to 25" (63.5cm) long and 9.1" (23cm) tall, which could include a camera body, lens, monitor, viewfinder, 4K recorder, audio recorder, medium LED lightpanel, shotgun mic, lavaliere mics, rails, follow-focus, matte-box, shoulder mount, top handle, and cables. As always, you receive a free gift with your order and free shipping. And if you are looking for some cool video, scroll down once you have chosen one of the three bags to view in detail. Look for a video by Culture Pop Films. Nikonians Academy instructors are preparing for workshops in outstanding photo destinations. Steve Simon is running his Passionate Photographer workshop in New York City this week and then leaves for Cuba next week to run a similar class that focuses on the streets of Havana. If you missed out on both of these, then don't wait to sign up for his June 16-21 Passionate Photographer workshop in New York City. In class, we will look at a selection of your best work from the previous day. These daily critiques are of crucial importance, where we share ideas and constructive criticism as we look through each others' images. The workshop will be a "safe place" for group discussions with suggestions and new ideas put forward. We will visit New York photography galleries and museum shows and participate in lectures and critiques every day. Mike Hagen still has open slots for his Iceland Photo and Bird Adventure this July. Summer in Iceland is unbelievably beautiful, with gorgeous light for most of the day. In fact, it never gets truly dark in Iceland in the summer because of its high latitude near the arctic circle. During our journey, we'll photograph some of the most amazing scenery and wildlife Iceland has to offer. From verdant rolling hills to rugged mountains, the landscapes of Iceland are famous for their interplay between light and sky. Join Mike and his business partner Tim Vollmer, as they take you to places off the beaten path in the pursuit of stunning images and grand adventure. Later this year, join Mike Hagen in the Galapagos Islands for a yacht-based photo adventure that is guaranteed to tickle your wildlife fancy. This trip is designed around capturing the unique fauna of the Galapagos Islands including birds and marine life that you'll only find in this special part of the world. 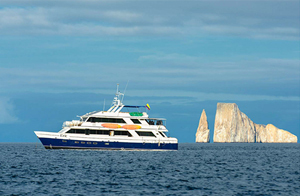 Our group size is small and our expedition yacht is perfectly designed to get us into small bays teeming with animals. The adventure begins on September 18, 2106. 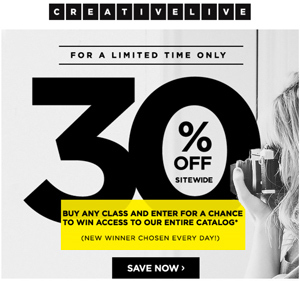 Our online workshop partners at CreativeLive just let us know that all classes are 30% off this week through May 22nd. Also, if you buy any class, then you get a chance to win access to the entire CreativeLive catalog. A new winner is chosen every day. Winning this allows you full access to over 1,000 online workshops! 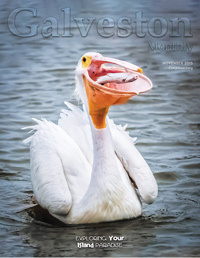 ------------------------------------------------------ Congratulations to Silver member Lindrel Thompson (lindrelt) from Texas, USA for scoring his first cover shot. He posted his cover of the Galveston Monthly Magazine. Lindrel tells us: "The picture was taken at Pier 19 after some returning fisherman released leftover bait fish. I saw a flurry of Pelicans splashing and fighting over the fish. Not until back home and reviewing the pictures taken at a fast shutter speed did I realize what had happened. While Brown Pelicans dive for fish, the White Pelican scoops them right out of the water with their impressive pouched bill!" Have you had an image of yours appear in print or published on a web-site (not your own of course)? Share the good news with us in our I have been published! forum. ------------------------------------------------------ Reading and writing posts, articles and critiques at nikonians.org does more than just share information. In many ways, members have embraced the original concept of our founders, making Nikonians not just a knowledgeable and friendly environment but a family environment. We like to call it a community, and as such we should also have a look at the backgrounds of some of our fellow members. 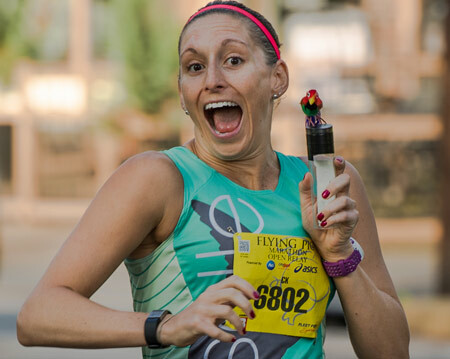 Moderating Team member Marsha Edmunds (meadowlark2) has started an ambitious series of articles aimed at providing that background. The series title is "I am Nikonians" and at the heart of each article will be Marsha's goal of letting us know more about these family members we share our time with during each visit to nikonians.org. Check out the first edition, featuring Silver member Monte Comeau (BCRose) from British Columbia, Canada. In the coming months, don't be surprised if you get an email from Marsha, asking you to participate. ------------------------------------------------------ Silver member Steven Greenbaum (Steve6344) from Florida, USA is looking for suggestions on saving large files in Photoshop. The answers so far may help fellow members with a similar problem. ------------------------------------------------------ We have brisk and informative conversation going on regarding Nikon Batteries. Silver member (Richard Walliker) from Wales, the United Kingdom kicked it off my asking about high battery drain with the Nikon D500. His question has evolved into a deeper look at who is actually making batteries for Nikon use, and numerous comments about assorted battery life experiences from fellow members. Some are happy and some are not. ------------------------------------------------------If you post your raw NEF photograph in our NEF processing skills forum, we will help you improve it. The forum is open to all members on Silver or higher membership. 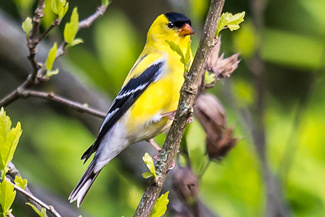 A good example is this photo of a Goldfinch, taken by Gerry LoSardo (JerryLoSardo) from Maryland. Gerry invited our members to have a look and tweak it for sharpness. "I recently purchased a Nikon 300mm AF-S II (non-VR) and a TC20EIII and have begun the long (but enjoyable) process of learning how to use this lens/TC combo. My post processing efforts in LR (see attached jpeg) have resulted in an image where the bird is too soft, so I'm trying to see if I can create a sharper image." Remember, don't upload JPEG images. Just RAW images. Our community are going to the great Yellowstone National Park and the Grand Teton. Join us to collect unforgettable memories and exceptional photographs. Underwater photography enthusiasts are more than happy to know that the new Nikon D500 already has a promise of a housing. "After announcing plans to release a housing for the Nikon D500, this week Subal shared a teaser image on Facebook promising to deliver the product within a matter of weeks. The prototype of New Subal ND500 for Nikon D500 is finished and tested," reads the Facebook post. The company believes the housing will begin to be delivered on June 10th, 2016. If you post your raw NEF photograph in our NEF processing skills forum, we will help you improve it. The forum is open for all members on Silver or higher membership. Rick Hulbert has been busy creating new workshops and his newest is a week-long photography workshop in Trioria, Italy. It is set for October, 2017 and is designed to be an affordable custom workshop for only five participants. Rick will be teaching this class with co-leader Gerald King, who spends part of his year living in Trioria. If you are looking for a completely original, unique photography experience, then this is for you. Triora is a photographer's delight. In every direction, the Italian Alps rise around you, and in every direction other delightful tiny towns cling to their own mountains. With architecture that is hundreds of years old, the interior of the town is off limits to cars. Small, covered, cobblestoned lanes wind their way between the residents' houses, their stoops colorful with pots of flowers and herbs. Rick also just sent a note about a date change for this Fall's urban and street photography workshop in Chicago. It is a great time of year to be in Chicago! We will be photographing along the Chicago River front, in Millennium Park, along the historic "L" Train Loop, and in a location providing a dramatic waterfront skyline view of the City Core. We will allow for opportunities to photograph during the best light available in the early mornings along with late afternoons and early evenings. All in all, we will combine a serious photographic learning experience with being able to return home with some great images of a world class urban environment. We have been able to book a more affordable downtown hotel for us all to enjoy the daily lecture/discussions and image reviews. Our host hotel is in a super convenient location, just one half block from the Chicago River in the heart of downtown, and just 3 blocks from Millennium Park. 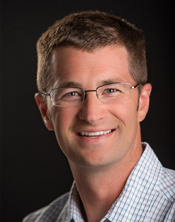 Should you decide to stay at the host hotel, speak with their Director of Sales, Daniel Grajdura, and tell him you are registered with "Rick Hulbert's Photography Workshop" to request the best room rate available. 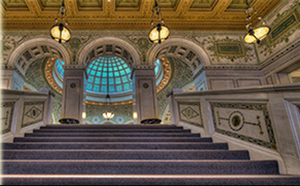 Of course, should you prefer, there are numerous other hotel options in and around Chicago from which to choose. Hope to see you this September in the heart of Chicago." 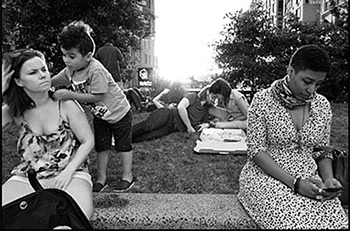 Steve Simon's Passionate Street Photographer 6-Day Workshop in New York City will challenge even the most experienced photographer to see the world in a new way. The workshop helps photographers develop their vision and works closely to help them go from good to great. Join Steve in New York at his studio from June 16-21, 2016. He will be teaching you new and powerful street photography techniques guaranteed to push you from your comfort zone to new heights in your work. Steve will share his street-shooting philosophies gleaned from a lifetime of wandering urban places with his camera. He will help you find your own unique vision and street style through assignments created to get you past photographic fears and cliches to capturing lyrical, poetic and decisive moments that communicate the energy of the streets. Nikonians Academy Director Mike Hagen wants you to join him in Iceland this July. Mike says, "This is the perfect trip for traveling spouses or friends who want to explore a new section of the world. The scenery is stunning and the wild birds are bountiful. Photos rarely do the scenes justice as many of the landscapes seem to be from a different planet. Our trip runs from July 17-24, 2016 and we have a few open seats available for intrepid travelers." TOKYO - Nikon Corporation has announced that three of its products are recipients of the prestigious TIPA Awards 2016 sponsored by the Technical Image Press Association (TIPA), a global authority in the photography and imaging industry. The Nikon D5 digital SLR camera has been selected for the Best DSLR Professional/Action awards, the Nikon D500 for the Best APS-C DSLR Expert award, and the SnapBridge app for the Best Imaging Innovation award. The best photographic and imaging products released between April 1, 2015 and March 31, 2016 in a number of categories were selected for the TIPA Awards 2016 through voting by editors of prestigious camera and imaging magazines from around the world. ----------------------------------------------------- Are you in a rut, need some motivation or inspiration? Give our Online Assignments a try. 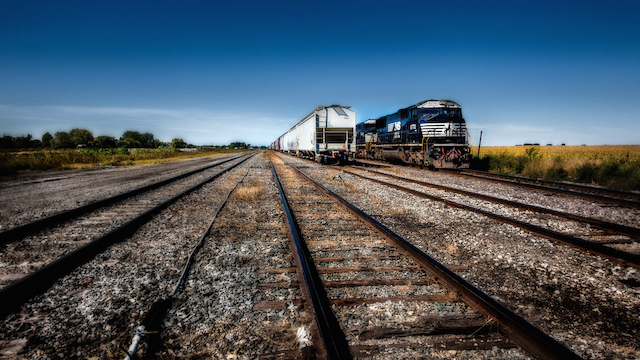 The online assignments are a great place for both beginners and advanced photographers. Beginners will become more familiar with their cameras and the fundamentals of photography by completing the Online Assignments. Advanced photographers can use the assignments as a way to find inspiration and to try new things. We offer a new assignment each month. Please drop by and join us in the Online Assignments forum! This month's assignment is simple - a wall worthy, high-contrast photograph that includes strongly contrasting elements. The image may be color or black and white. Use of the latter medium is a great way to provide high contrast images - sharp blacks and whites, with minimal gray. 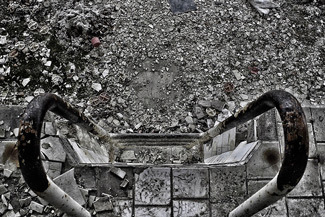 A high-contrast color photo would also include both bright and dark elements. ----------------------------------------------------- Silver member Lynn Watkins (LE49Wat) from South Carolina USA is wondering "It's time to buy!--or is it?" "Should I wait a bit longer? 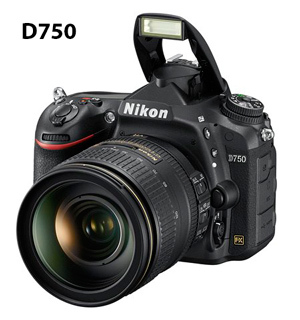 Will the D750 go on sale in July when the new cycle for electronics emerge? I don't have a wide angle FX lens anymore; should I buy used and get a decent lens also? Or should I look at another FX camera used?" What advice would you share with Lynn? -----------------------------------------------------Ray Heslewood (Hessy) from Western Australia has started an interesting round of discussion with his question about in-camera noise reduction. It's a good read, but we warn you to make sure you have your thinking cap on before you open this discussion. ----------------------------------------------------- Silver member Michael Tyler (Mike_in_ME) from Maine, USA posted an image a while ago that has been drawing the attention of our Aviation Forum members. 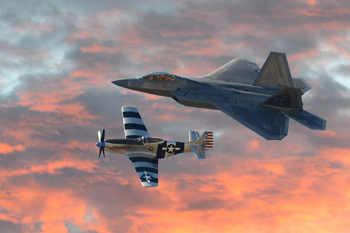 It shows a U.S. Air Force F-22 Raptor flying with a P-51 Mustang called "Fragile but Agile." The Mustang is part of the Heritage Flight program featururing modern day fighter and attack aircraft flying alongside World War II, Korea and Vietnam-era aircraft in a dramatic display of our nation's air power history. Heritage Flights are flown at events ranging from open houses and air shows to sporting events, parades and funerals. ----------------------------------------------------- We are fast approaching the deadline, May 15, for Segment 1 of the Best of Nikonians 2016 contest. 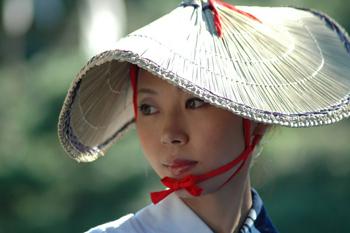 The theme is simple -- People -- any image with a person or people as the main subject is eligible. The contest is open to all Silver, Gold and Platinum members. The deadline for submissions is May 15th, by the end of the day. Winners will be announced on May 30th. How many were taken at night? Odds are most were not. There is an easy explanation for this. Daytime is full of the most important ingredient necessary for great images -- Abundant light. If you go fishing you naturally travel to ponds, lakes, streams and oceans known to be well stocked with fish. As a photographer you naturally follow the same logic, looking for a subject bathed in all manner of light such as an exquisite sunrise or dramatic sunset. Nikonians Team member Dusan Labuda (DusanLabuda) from Slovakia takes the hunt for great images into the most challenging of situations. He calls it the Night Shift. Deliberately shooting in the low light world requires you to "shift" you're thinking about the gear and the techniques you plan to use. "Low light, an unusual ratio of highlights and shadows will force a photographer to think a bit more than before a common daylight shooting. The hunt for light will force you to use your gear to the fullest potential." Read his article titled NIGHT SHIFT - Introduction to night photography and you are guaranteed to improve your chances of coming back in the morning with a few great "keepers." Nikonians Contest Coordinator David Summers (dm1dave) has posted the results of the March 2016 competitions. We encourage you to click on the links to each image for a closer look. A great example is the "Things found in a kitchen" theme used in the Micro and Macro forum. It clearly shows you don't even have to leave your house to exercise your creativity. All Silver, Gold and Platinum Members are eligible to participate in any and all theme categories of the monthly forums contests and online assignments. 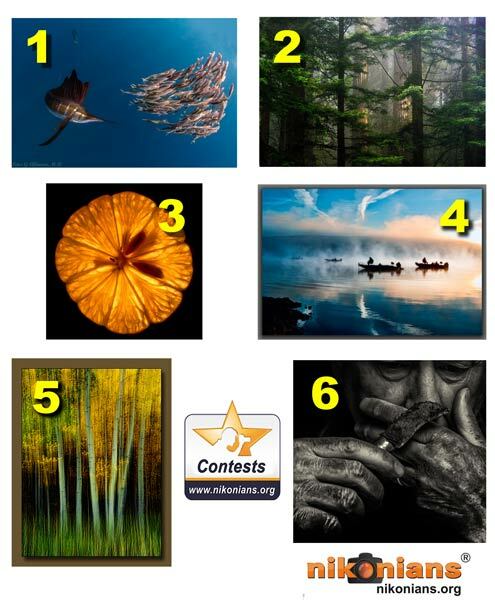 Check our winning images legend posted below and scroll down for the names of the winners. The image titles include links to the winning entries along with a look at the competition in each category. 1. Wildlife "Action with Water" theme winner Peter Allinson (critidoc) from Maryland, USA with his image titled Swordfish. 2. Landscape "National or State Parks" theme winner Scott Ashley (scottashley) from Colorado, USA with his image titled Redwoods in Fog. 3. Macro "Things found in the kitchen" theme winner Dean Andersen (DeanAZ) from Arizona, USA with his image titled Lemon Slice. 4. Travel "Fishing" theme winner William McEwen (Wolfgang55) from Connecticut, USA with his image titled Fishing Derby. 5. Digital Artistry "Camera-based Manipulation" theme winner Darryl Hodson (skibreeze7) from Oregon, USA with his image titled Aspens. 6. March Assignment "Hands" theme winner Tom Ferguson (tekneektom) from Wisconsin, USA with his image titled Dirty Hands - B&W. 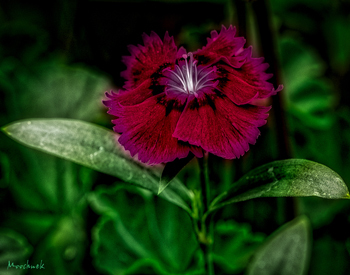 The May Assignment is "High Contrast". This would be a high-contrast photograph that includes strongly contrasting elements. 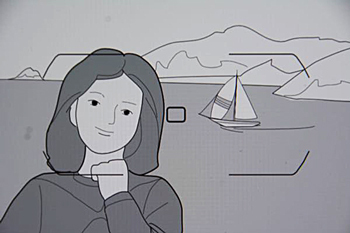 The image may be color or black and white. Remember, the assignments category has a central and important emphasis. The photo you submit must be taken in the month of May 2016. That's why they call it an assignment.